Lets get it started! We'll be part of Team Chicken Wang again this year since it came off without a hitch.... Just making this thread to organize the desserts. Team Dessert is more of a Potluck type team so bring what you want or can and put it in an aluminum pan so we can tape it down if need be due to wind. Plastic serving spoons or spatulas are very welcome if you bring something that requires them. This is a great team for TBHer's significant others, wives or husbands, girlfriends or boyfriends , to take part and show off their wares.. All you gotta do is drop it off and go about your business. We filled the 4 tables solid last year and it dang near all was gone before we closed it down. Great turnout again last year for sure.. Let's do it again!! Last edited by Smart; 01-12-2018 at 06:17 PM. I am in for the Friday night Margaritas, BBQ Sauce and child labor if I can talk my young adults to come. I’m in for quality control. I'll make some of the pretzel things. I love that my husband is standing there too! I'm sure he was waiting to break into the cupcakes! And yes doubling stuff up is fine!! So seriously what kind of goodies do people usually bring? I don't want to bring the wrong stuff or too much! Courtney....mostly finger food desserts you can put on a small plate like cookies, brownies, chocolate covered pretzels, soapapilla cheese cake, cupcakes, peanut butter bites, rice crispy treats etc etc. Pies and sheet cakes are also fine as we will have plates and forks available. Folks walk down the sides of the tables and add pieces to their plates to try it all as you an see in the pics below. Doubling up somebody is fine. It all gets eaten..
Last edited by Smart; 01-23-2018 at 06:22 PM. Okay thanks Jason! Now I have a better idea on what to bring! I'm in for another round of cupcakes and possibly some sort of bars. We will never turn down additional sweets! Whatever you want to make is greatly appreciated! What Erin said .....Team Dessert is a potluck from and for all of Bownanza attendees who want to participate. 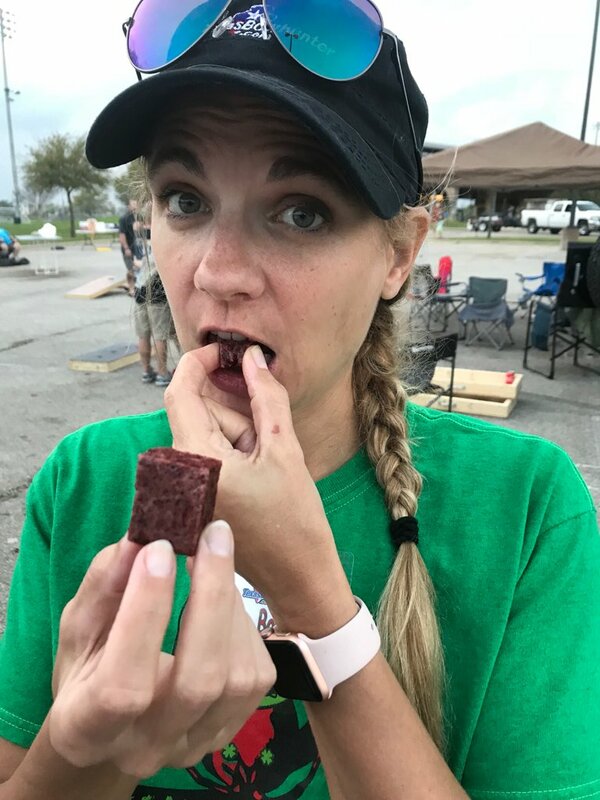 It helps folks who maybe are not on a team and just want to drop off and stroll or maybe the wife (or husband) of another team member who wants to participate somewhere else with their great baking skills. It kinda makes the team unique in that there is no set foods and are generally the most popular tables at Bownanza judging buy how it gets wiped out LOL. So yes yes....bring whatever you want....And if you want to hang out around the tables with all the great TBHer ladies who watch over it, that's great too. I posted this earlier to help folks understand what works best. "mostly finger food desserts you can put on a small plate like cookies, brownies, chocolate covered pretzels, soapapilla cheese cake, cupcakes, peanut butter bites, rice crispy treats etc etc. Pies and sheet cakes are also fine as we will have plates and forks available. Folks walk down the sides of the tables and add pieces to their plates to try it all as you an see in the pics below. Doubling up somebody is fine. It all gets eaten.."
Bump to help fill the table for my taste testing..
Another bump for all the master desserts makers! Lets get your significant others involved woman or man.. Team Dessert depends on the potluck generosity of our baking superstars and we need to fill the most popular table at Bownanza this year! Last edited by Smart; 03-06-2018 at 07:51 AM. I will tell the wife to make something, maybe she can get the recipe from her aunt for her sexinapan dessert. Sorry, we're not going to make it this year. 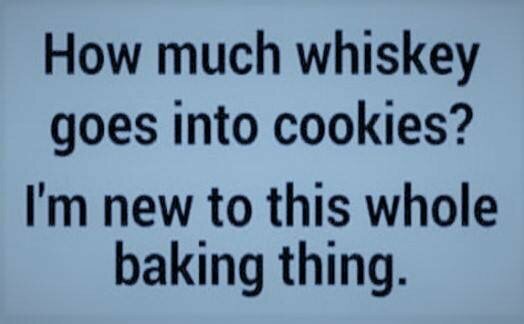 Lets just say I like a little cookie with my whiskey..
More like per half! Lol! Above and beyond! Thank you all! Just wanted to thank all that donated to Team Dessert this year. It is a unique team in that it is a potluck style of team but TBH bakers always come through for us. Thank y'all for making it the most visited table in Bownanza ....LOL . Yall done good! If I hadn’t been stricken with the ketosis, I would have been all up in that dessert table!! There was some good looking stuff! !